Here’s an example of the occasional book review I promised. I reviewed the book in December. 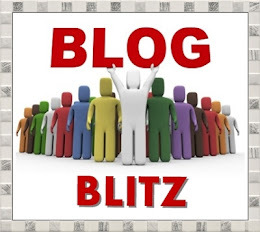 My friend Mark McGinty posted it on his book review blog – The Boogle. If you love boyish anecdotes of widespread vomiting, fart jokes, cow “shite” and other forms of “shite,” brutal fights, infantile wrestling, arbitrary vandalism, heavy drinking, and all manner of theft and dishonesty—all experienced by the author and his real-life cronies—then you’ll love this sophomoric chronicle from Ronan Smith. 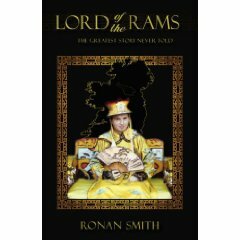 Lord of the Rams: The Greatest Story Never Told invites us to “join one man for the adventure of his life…growing up in rural 1980s Ireland.” It “provides an insightful account of life in Ireland over a 25-year period, which many—regardless of nationality—will be able to identify with.” I found myself often drawn to the raw energy, passion, and living-life-to–the-fullest attitude of the author (a.k.a. “The Rams”) and his friends, but, along with the relatively innocent juvenile adventures, Smith adds layer after layer of “shite” such as alcohol abuse, fraud and common thievery. While certainly human, the book’s protagonists don’t give anything promising to the reader hoping for greater depth of character and humanity. I may be a bit hard on Smith, however. Perhaps I’m writing from the point of view of the emasculated American male who—along with his fellow American males—has lost touch with his once wild and undomesticated self. Okay, so before I get all Robert Bly in your face, maybe Smith wasn’t trying to accomplish anything of significance except a simple look into his early and very wild life. After all, boys will be boys. Maybe he simply needed to express the experience of being a young male. Perhaps, but do we need 222 pages of boys doing what boys will do? Although the immature subject matter becomes tedious—especially after page 60 or so—Smith weaves a tale that is quite engaging at times. My guess is that if Smith were to take up the profession of technical writer, he could easily create page-turners for even the most mundane topics. I would love to see a revised edition of this book with new chapters interspersed describing childhood disappointments, joys and loves. The success of this book ultimately depends upon a very narrow intended audience. If you’re a college-aged young man, this book will fulfill your Fast Times at Ridgemont High juvenile longings, desires and addictions. Being that the second half of book is nothing but a perpetual frat party, I can’t imagine, ladies, how this book would be of interest to you with the childish behaviors and actions of the author and his friends. 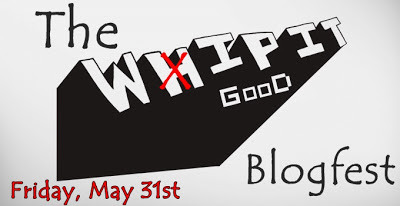 While Smith’s story is often funny and entertaining, where is the meaning, significance, importance or even redemption? Why don’t we discover more of what makes Rams tick besides having fun and causing trouble? Where was the balance? I would have loved to discover more about his family relationships, but we learn of only the most inane, base motivations of Rams, his likes and dislikes, and nothing about his emotional and spiritual state beyond his crazy antics. Maybe that wasn’t Smith’s intension. But why should I be interested?” It’s the “so what” factor. (How much do we really need to know about college-aged boys and their fart contests?) Like the author’s own words about his life, I hoped for the “cessation of the infantile messing” that had become the book. Smith talked only briefly about his life successes and failures in academia, his relationships with women, and his family life., I would love to know more about Irish culture beyond his family watching professional wrestling together. In Chapter 25, Smith gives us a rare glimpse into his heart for his family and treats us to his experience fishing with his dad, giving the book a much-needed diversion, but it‘s disappointingly short-lived. At some point, the juvenile escapades lose their edge making the reader the true victim and recipient of his childish behavior. While his memoir is self-centered and self-absorbed, I give him credit for the courage to express himself so openly and honestly. Where Smith succeeds is when he writes about the person most of us want to be–or are; the dual personalities within us vying for control of the “true self”—the one shy and well mannered, the other fun loving and free spirited. Who wouldn’t want friends with names like Rams, Stano, Finger Jo, Boo Boo, Goosey, Slug, Spade, Jockey, or Tritchy? Remarkably—and here’s where I do agree with the book’s promo—I found myself identifying with some of the same childhood and young adult experiences Smith had, such as our love of English and writing, and our struggles with the sciences (mine Chemistry, his Biology). I delighted in the reminders of all the crazy stuff we jumped into as youngsters in suburban Michigan, and Smith’s experience in Chapter 6 of “The Gauntlet” was nearly identical to my high school experience. That’s my story, not Smith’s! Overall, Lord of the Rams is a smart-assed, quirky, approachable, deranged and tight autobiography, full of ill-advised antics. Smith succeeds with what he intended: a harmless (to the reader, at least), entertaining romp of his first 25 years. Ultimately, Smith’s strength is his writing. Free of cliché, his writing effectively brings us into the journey of his early years. With short, approachable chapters, Smith’s story keeps the pages turning–. Yet, I went back and forth with this book. At times, couldn’t wait to read what was on the next page, other times I just wanted it to end. Interestingly, the last page of the book ends on a strangely philosophical note. Perhaps as catharsis for his 200+ page promotional rant on the joys of ill behavior. Although difficult to decipher from only one page, in a sad way, Smith ends his memoir with a rather repentant and guilty tone. Maybe he felt the way I did and asked the same question I asked of the book: After all that, is that all there is?